This week I decided to take a look at a few photos from back home in Arkansas. There is nothing like growing up in the hot, humid, and sticky summers on the ranch. It was a place where there was never a dull moment and there were always cattle to feed. Oh to be that carefree and back on the ranch as a kid…. The old farm house at our ranch. There was no window unit, but it would stay cool all summer long with just the attic fan. Not to mention the fact I could wake up with my horse staring at me through the bedroom window. 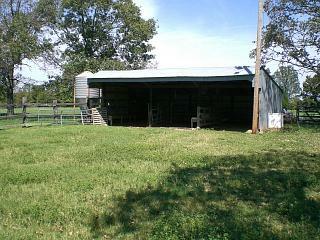 The barn where I kept my show calves as a kid. So many memories of burying my boots in the mud after the rains, teaching my calves to lead, and taking a bath with them on those hot summer evenings. 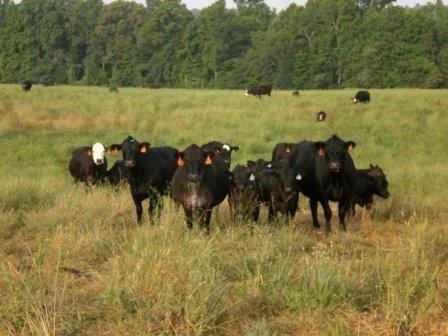 Some of the cattle in our commercial Angus herd. You would not believe how awesome it is to see a herd grow over 10+ years and be able to tell stories about the cows just by looking at a tag number. 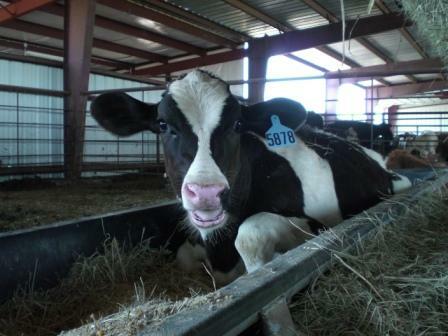 This ole calf just decided to plop down and get comfortable in the feed trough at the barn. Really can't say he wasn't content in that place. 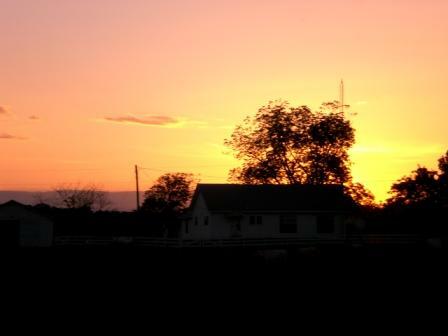 I know you have some amazing stories to tell from your childhood memories on the farm or ranch. Did you grow up there or was it a visit to the grandparents that left memories that you cherish? Share your thoughts with me here or on the I am Agriculture Proud Facebook page. Loved this post! Especially the house picture… HOW GORGEOUS! Love the old house pic and pole barn, but LOVE the calf laying down. What a great face!